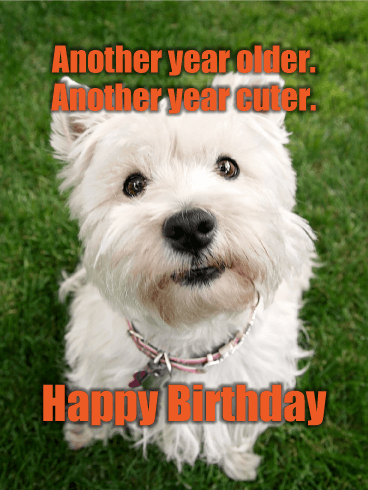 There's just something about birthday cards and dogs that makes a winning combination. Take a look at those adorable puppy dog eyes and that sweet smile! The added verbiage about being older and cuter will definitely add you some brownie points, too. 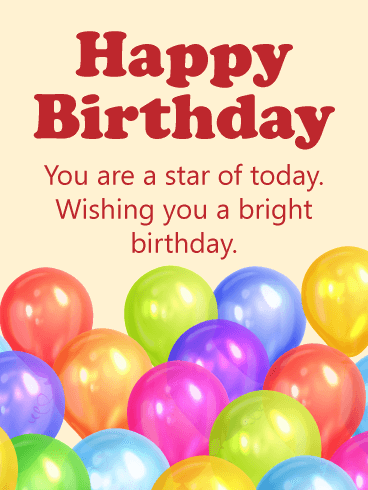 This is one of those cards that's great to keep on hand, to wish anyone a great birthday with a moment's notice! Another year older. Another year cuter. Alcohol lovers rejoice! What better reason is there to drink than celebrating a birthday?! 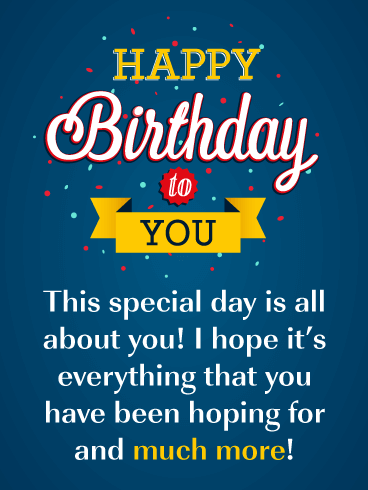 This birthday card is tons of fun and suitable for anyone in your life for their special day. 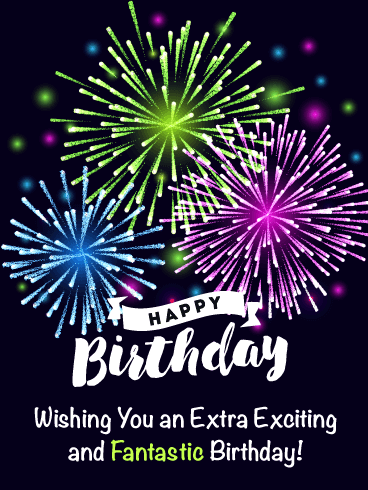 Whether you're searching for a birthday card for a family member, friend, or acquaintance, this is sure to bring a smile to anyone's face! No one will even miss the cake! For most people, eating yummy sweets has to be balanced against regular exercise to stay healthy and fit. On your birthday, however, watching your figure is hard to do. 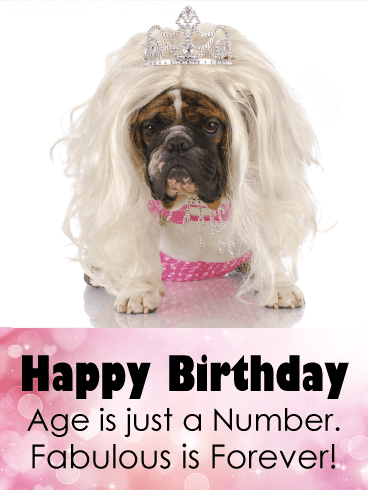 Like this Funny Birthday card says, your birthday is a special day - a day to forget rules and enjoy your time! Send this to your loved ones to encourage them to fully enjoy their special day! Do you know someone who is getting up in the years? 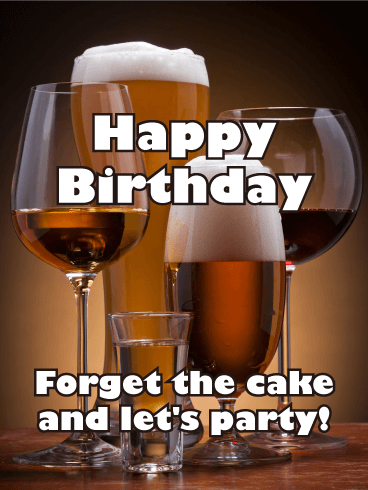 Then you have found the best Funny Birthday card to send on their special day! Getting older isn't fun, but it doesn't mean that you have lost any of your fun and pizzazz. 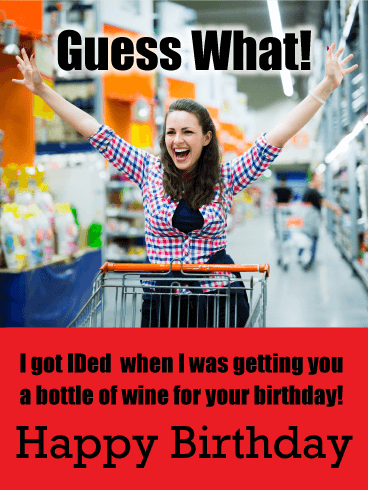 To encourage your loved ones to have fun on their special days, send this hilarious Funny Birthday card! The great message and image will make this the best birthday ever! 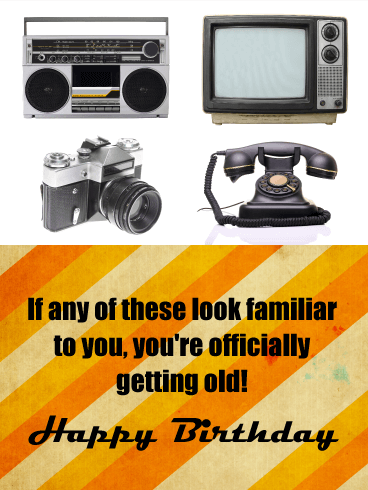 For the person in your life who may be a tad self-conscious about getting older, make them feel better with this hilarious birthday card. Age is just a number, after all! 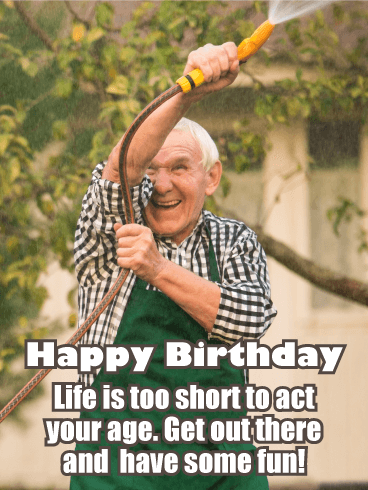 The older gentleman playing with the hose should be what all of us aspire to be on our birthdays-happy and laughing! This is sure to get lots of laughs! Balloons! Balloons! Balloons! What can we say?! They're an exciting part of everyone's birthday, and they're definitely what makes this birthday card so special. With shades of every color of the rainbow, they make this card something truly unique. The kind words are the icing on the cake of an already fabulous card. This is the perfect pick for anyone! Do you and your friends often get carded when buying drinks? Is it a running joke among your loved ones? 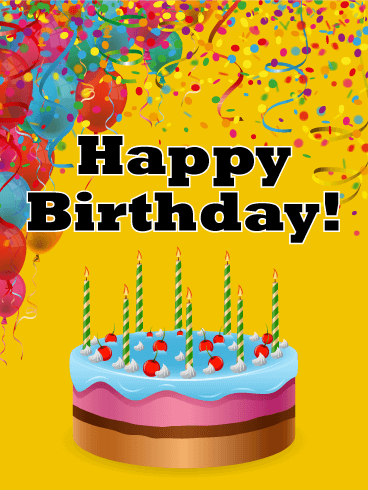 Add some extra laughs and fun to your loved one's birthday by sending this Funny Birthday Card! The silly image and reminder of getting carded will make this special day even better and more memorable. 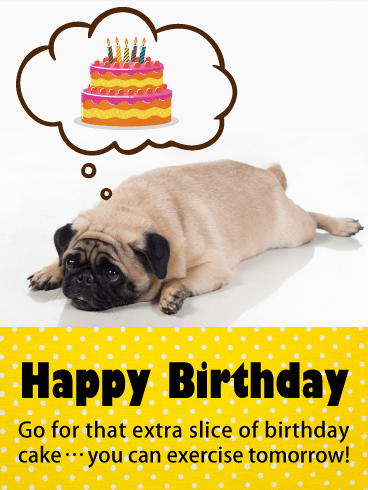 Send this Funny Birthday card today! Is there any better way to wish someone a birthday filled with smiles than with a picture of a dog smiling?! We think not! Just look at that precious pup! The heart cutout and pretty flowers make the picture even better, with tons of gorgeous colors culminating in a fun card. 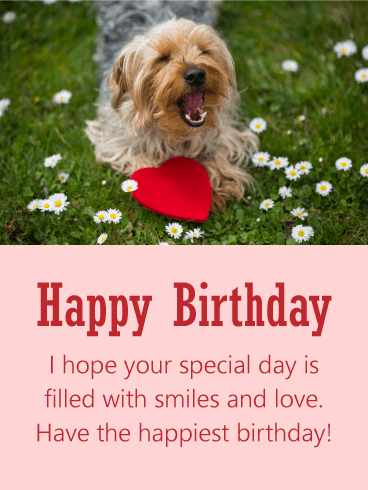 This birthday card is the perfect way to wish someone a day filled with smiles and love. Cake, confetti, balloons... you have everything you need here for an awesome birthday celebration! With all of the birthday staples, this birthday card is an awesome choice for anyone in your life who's celebrating their special day. 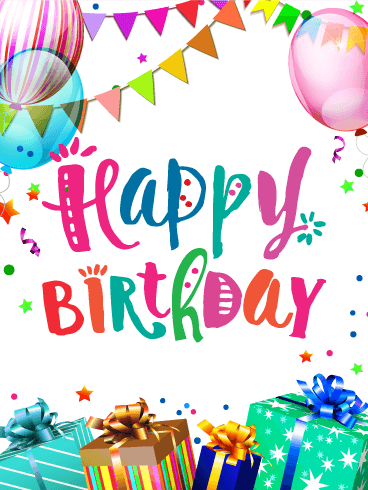 The bright colors really make this birthday card stand out, and the simplicity makes this card easily customizable for the birthday guy or gal.